Colin Kaepernick has been discussed as a possible replacement for Ryan Tannehill in Miami after injury. Colin Kaepernick has had an interesting past few weeks. According to Josina Anderson, after Ryan Tannehill was injured during practice on Thursday, the Dolphins front office brought up Kaepernick as possible insurance to replace Tannehill. Kaepernick would compete against Matt Moore for the starting gig if Tannehill were to miss any regular season games, a battle that would be settled in the preseason. Source: Colin Kaepernick’s name was raised w/i #Dolphins‘ front office as potential insurance at QB posn after Ryan Tannehill injured Thurs. Tannehill left practice Thursday with a non-contact leg injury. Tannehill was on the road to recovery and looked to be healthy again after missing multiple games last season due to a knee injury. Kaepernick’s name was brought up in Baltimore, as the team announced Joe Flacco would be out for six weeks, leaving a hole at starting quarterback. While Kaepernick has said he would love to play for Baltimore, the team has yet to sign him. Kaepernick is a hot topic as fans, and possibly owners, are still upset with him kneeling during the national anthem during the 2016 season. Many people believe Kaepernick isn’t being looked at due to the incident, while others believe it is based on his skill set. Kaepernick has yet to receive any offers from any of the 32 teams in the NFL, so at this point, any job opening is worthwhile for the former starting quarterback. A return to a starting job would be a good way for him to get looked at from other teams if he does well during the time he gets if given the chance. The Miami Dolphins open up their preseason schedule against the Atlanta Falcons on Thursday, August 10. 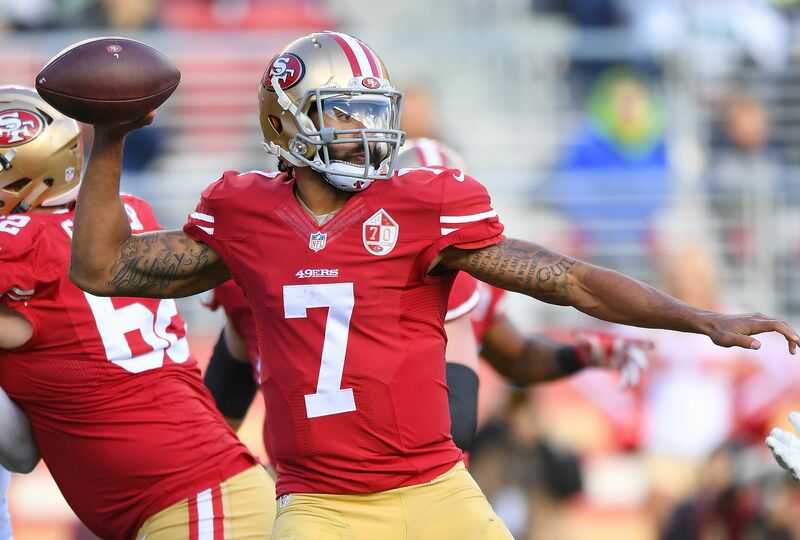 Will we see Colin Kaepernick as the starting quarterback by then? Time will tell.